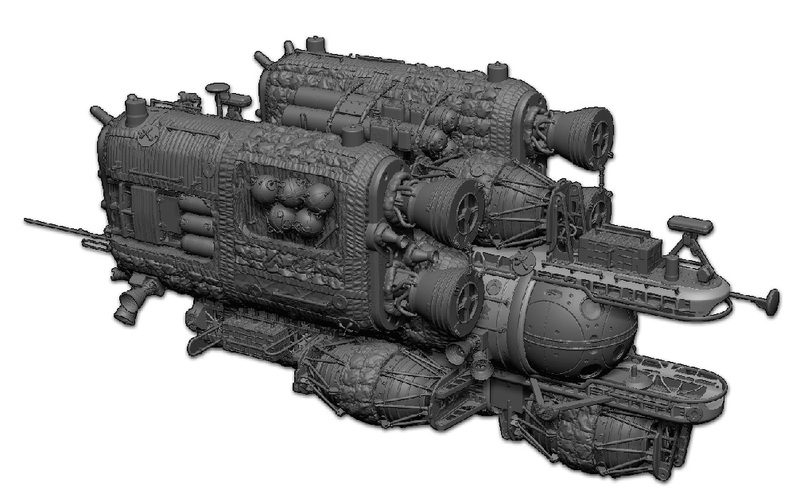 ZBrush includes a complete Boolean system in addition to its other Boolean-style features like DynaMesh and Remesh All. These features all use the SubTool operators to define if a SubTool will be used as an Addition, Subtraction or Intersection model. The Live Boolean mode found in the Render >> Render Booleans sub-palette lets you preview in real-time the results of Boolean operations on your SubTools. You can move, scale, rotate, duplicate, change the operation mode and even sculpt in this mode. In the default ZBrush UI, the Live Boolean switch is readily accessed to the left of the Edit mode button. The Make Boolean Mesh function, found in the Tool >> SubTool >> Boolean sub-palette converts all Boolean operations to a new Tool. These results can be reused for further Boolean operations inside of ZBrush or exported to other 3D applications. This Boolean tool has been optimized to be ultra-fast. A model composed of several millions of polygons can be converted from the preview to real geometry in just a few seconds, although highly complex models can take up to a few minutes. The Boolean function will work with almost all ZBrush features, so long as the mod­els are some form of PolyMesh 3D. DynaMesh models and those with multiple subdivi­sion levels will work perfectly, as well as low polygon models created using the ZModeler brush. Advanced features like ArrayMesh and NanoMesh are supported as well since the resulting models are PolyMeshes. 3D Primitives, ZSpheres ZSketches, or other render-time effects (such as Micro­Mesh) are not supported by the Boolean system until they are converted to PolyMeshes.